In a rare show of support for Israel’s settlement enterprise, Australia’s foreign minister has said that the international community should refrain from calling settlements illegal under international law, without waiting for their status to be determined in a deal with the Palestinians. 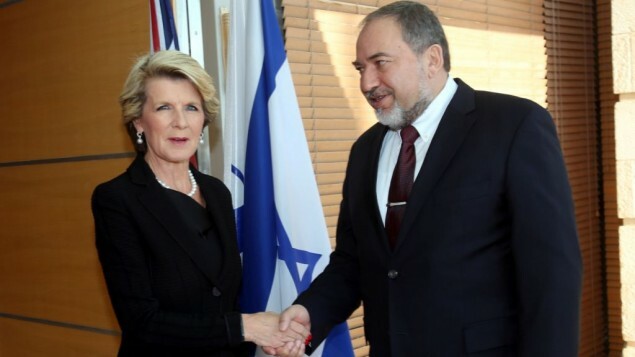 In an exclusive interview with The Times of Israel, Julie Bishop suggested that, contrary to conventional diplomatic wisdom, the settlements may not be illegal under international law. She refrained from condemning Israeli initiatives to build additional housing units beyond the Green Line or from calling on Israel to freeze such plans, merely saying the fact that settlements were being expanded showed the need for the sides to quickly reach a peace agreement. 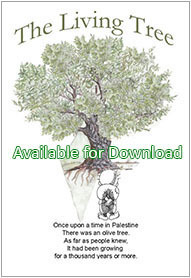 The position that settlements breach international law — adopted by the United Nations Security Council, the European Union and many other states and international bodies, but rejected by Israel — is based on an interpretation of the Fourth Geneva Convention. Article 49, paragraph 6, states that an occupying power “shall not deport or transfer parts of its own civilian population into the territory it occupies.” Violations of the convention are considered war crimes under international law. 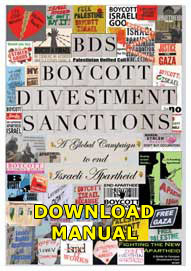 Israel is a party to the convention and therefore bound by it. 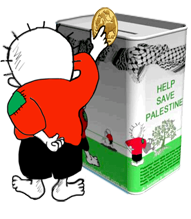 The issue of Israeli settlements should be determined in the course of the current US-brokered peace talks, she added. Settlements are widely considered damaging to the peace process, with even Israel’s closest allies condemning Jewish construction in the West Bank. Canada, for example, officially considers them “a violation of the Fourth Geneva Convention” and a “serious obstacle” to peace. But since September, when the center-right Liberal Party of Prime Minister Tony Abbott came to power in Canberra, Australia has been going to great lengths to demonstrate staunch support for Jerusalem’s policy on the international stage. Under Bishop’s stewardship, Australia has changed its voting patterns at the UN in favor of Israel. 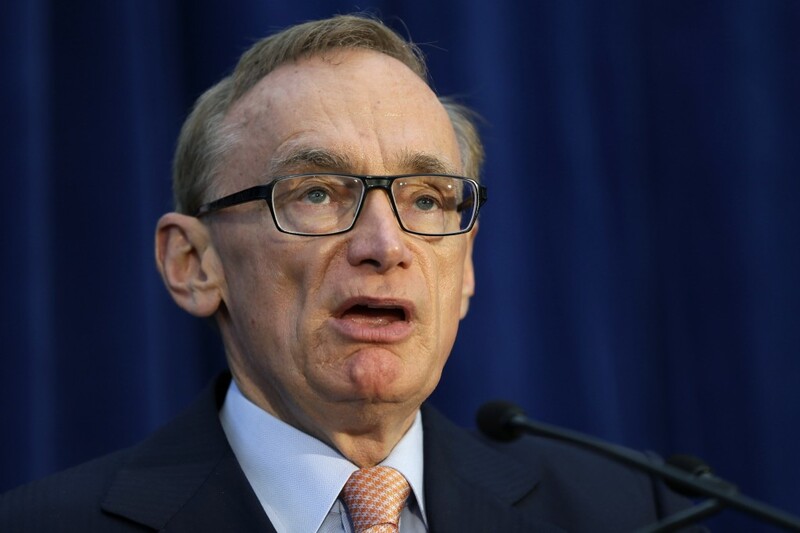 While under her predecessor, Bob Carr, Canberra often supported anti-Israel resolutions at the UN General Assembly, she has had Australia oppose or abstain from several such measures. In November, Australia was one of only eight countries to abstain in a vote on a resolution demanding that Israel cease “all Israeli settlement activities in all of the occupied territories.” Nearly 160 nations supported the resolution. In December, Australia was one of 13 countries that did not vote in favor of a resolution calling on Israel to “comply scrupulously” with the Geneva Convention (169 countries voted yes). The current Israeli-Palestinian peace talks “should be given any chance of succeeding,” the minister said, yet she sounded pessimistic when asked how realistic were the prospects of a final-status deal. Citing regional turmoil, Bishop appeared to echo her Israeli counterpart, Avigdor Liberman, who often argues that it is foolish to seek to lay the foundation for a new building amid an earthquake. Bishop also condemned what she said was excessive pressure exerted on Israel by Western states and civil society, including the threat of boycotts. “Israel has to be ever vigilant against such tendencies on the part of the international community,” the minister said. While private organizations were free to boycott whomever they wanted, any Australian body that received state funding should be barred from calling for boycotts, she continued. During the interview, conducted Monday at Jerusalem’s King David Hotel, Bishop also denied that the so-called “Prisoner X” affair surrounding Ben Zygier, a Melbourne-born Mossad operative who killed himself in an Israeli high-security prison cell in 2010, led to strained bilateral relations. 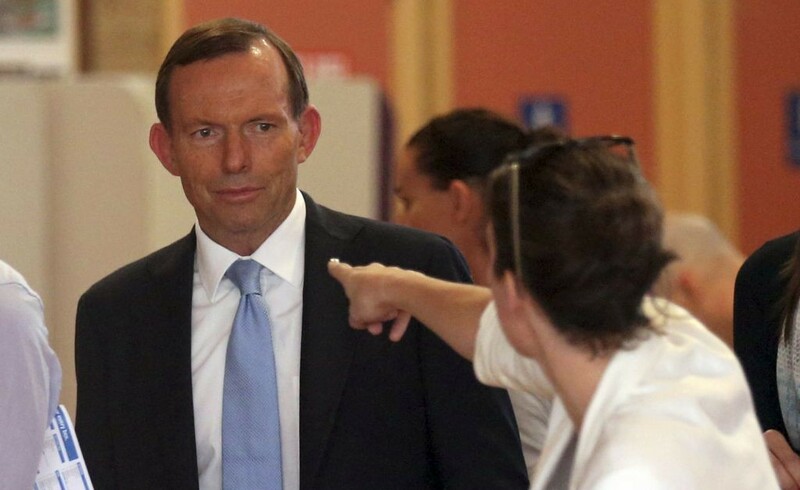 “I don’t believe that it caused diplomatic tensions between Australia and Israel — far from it,” she said. The circumstances of the affair are still somewhat unclear. 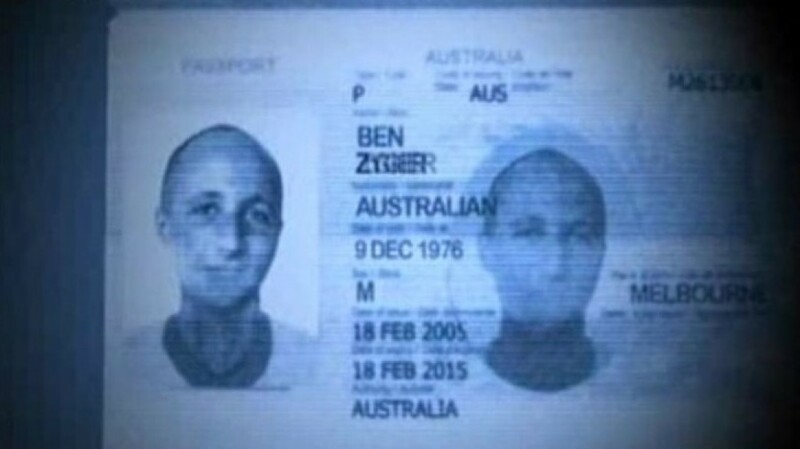 Zygier is said to have embarked on a one-man rogue mission after he failed to satisfy his Mossad handlers. He was then reportedly arrested in Israel after unwittingly leaking sensitive information to a Hezbollah operative that led to the arrests of Israeli assets spying on Hezbollah in Lebanon. After the story first broke last February, Carr, the then-Australian foreign minister, ordered an internal investigation. “We have asked the Israeli government for a contribution to that report,” Carr said at the time. “We want to give them an opportunity to submit to us an explanation of how this tragic death came about,” he said. Bishop, who at the time served as Australia’s deputy opposition leader, met with Israel’s Ambassador to Australia Yuval Rotem to discuss the episode. “If Mr. Zygier was using his Australian passports while working for Mossad, and that use was approved, I would expect the Australian government to be registering a protest with the government of Israel,” Bishop said in March. 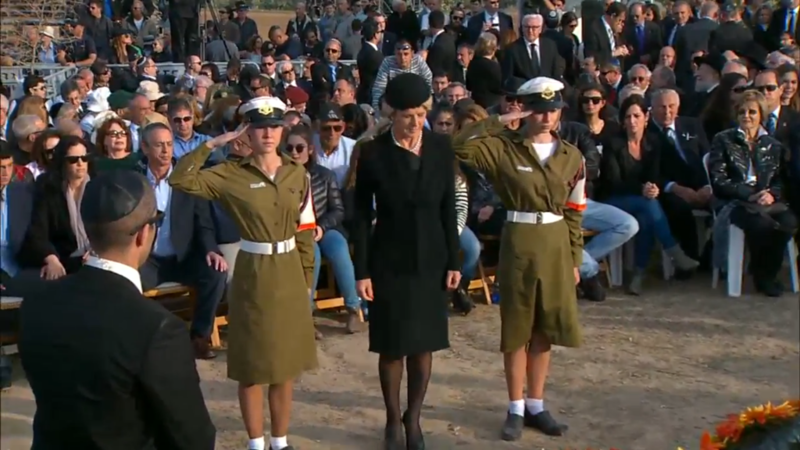 She also censured her government for failing to act in the same decisive manner as in 2010, when Canberra expelled the Mossad station chief in Australia, after Israeli agents used Australian passports in an operation to assassinate senior Hamas official Mahmoud Al-Mabhouh in Dubai. But on Monday, Bishop didn’t initially recall having expressed any disapproval of Israeli actions over the Prisoner X affair. “As far as I recollect, I made no statement critical of Israel,” she said. Only after her quote from last year was read to her did she remember having publicly demanded explanations from Jerusalem. “I never got an answer,” she said, adding that the topic did not come up in her meetings with Israeli officials during her first visit as foreign minister this week. During a stay of less than 24 hours, she met with Liberman and Intelligence Affairs and International Relations Minister Yuval Steinitz.